On the eve of the Palestinian Child Day, a popular march was organized Monday in Jenin to the north of occupied West Bank calling for the release of detained Palestinian minors. The participants staged a sit-in outside the Red Cross office in Jenin, chanting slogans against Israeli systematic violence practiced against Palestinian children. The participants handed a letter to the Red Cross representative in Jenin, demanding the immediate release of Palestinian children held in Israeli jails. Red Cross officials vowed to deliver the letter to the concerned authorities and to make all possible efforts to provide Palestinian children with international protection. According to a report released Monday by Human Rights Watch (HRW), Palestinian children detained in Israeli jails are being abused by Israeli forces and “routinely” interrogated without the presence of their parents. The report comes as the number of Palestinian children arrested by Israel more than doubled since October 2015. As of February, there were 406 Palestinian children being held in Israeli prisons, 108 of them under the age of 16, according to documentation by prisoners’ rights group Addameer. The Israeli Occupation Forces (IOF) arrested Monday evening a Palestinian young woman near the Ibrahimi Mosque in al-Khalil to the south of the West Bank. Local sources affirmed that the young woman Alaa Abdul Ghaffar Idris, 22, was arrested after being stopped and searched at an Israeli checkpoint near the Ibrahimi Mosque. The detainee was then transferred to unknown detention center, the sources pointed out. On the other hand, the Israeli Magistrate court extended the arrest of two Jerusalemite women for three days for further investigation. A journalist was among two Jerusalemite women who were arrested on Sunday from their houses in Silwan town south of al-Aqsa Mosque. Palestinian prisoner Eyad Fawaghra has been on an open hunger strike for 30 days to protest his solitary confinement and the suspension of family visits, the Palestinian Committee of Prisoners’ Affairs said on Monday. Fawghra has refused to take painkillers or vitamins and plans to continue his strike until his demands are fulfilled, a lawyer for the Committee of Prisoners’ Affairs, Yousef al-Nasassra, said in a statement. 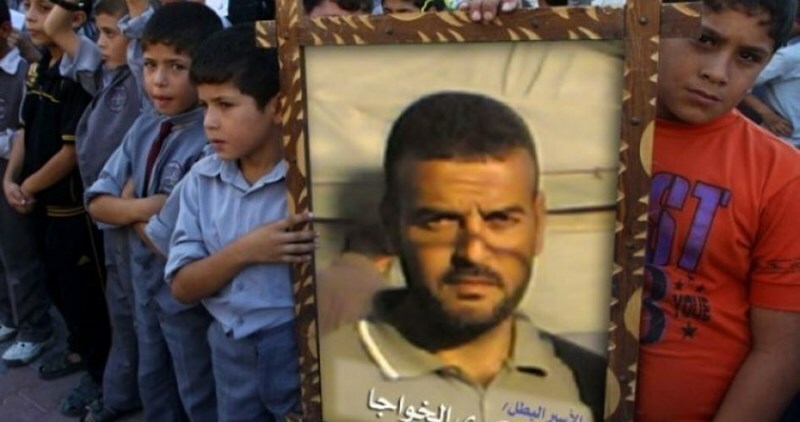 Fawghra, a resident of Bethlehem currently detained in the Israeli Eshel prison, has been in prison for 11 years serving a 27-year sentence. 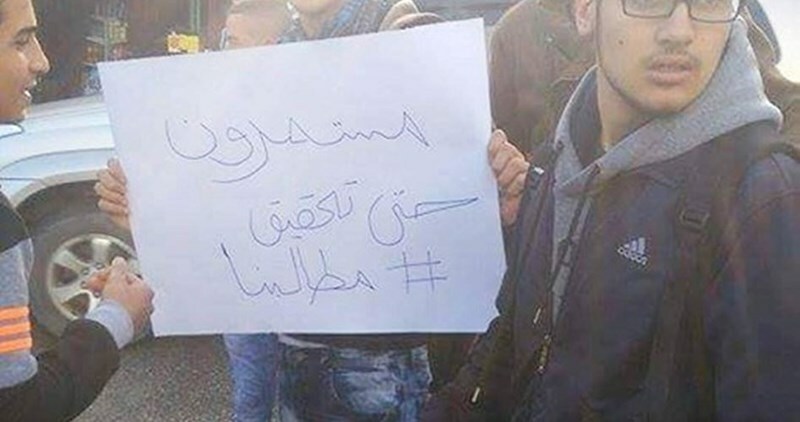 “Fawghra is suffering from constant and chronic headaches, and Eshel prison services are trying to woo Fawaghra with medicine in attempt to get him to end his strike,” al-Nasassra said. The lawyer warned that the prison had already begun to use punitive methods to end Fawaghra’s strike. Al-Nasassra called for “quick interference” by human rights organization to end Fawaghra’s solitary confinement. At least three other Palestinian prisoners are currently carrying out hunger strikes to protest their administrative detention -- internment without charge or trial. They were identified as Sami al-Janazreh, who has been on hunger strike for 40 days, and Beit Liqya natives Adeeb Mafarja and Fouad al-Assi, who have been on hunger strike for nine days. Many Palestinian prisoners face torture, denial of family visitation, and medical negligence. On Thursday, Palestine Prisoners’ Center for Studies spokesman Riyad al-Ashqar said solitary confinement was being used by Israel against hunger-striking prisoners as a way to pressure them into ending their strike. Palestinian children detained in the occupied Palestinian territory are being abused by Israeli forces and “routinely” interrogated without the presence of their parents, according to a report released Monday by Human Rights Watch (HRW). 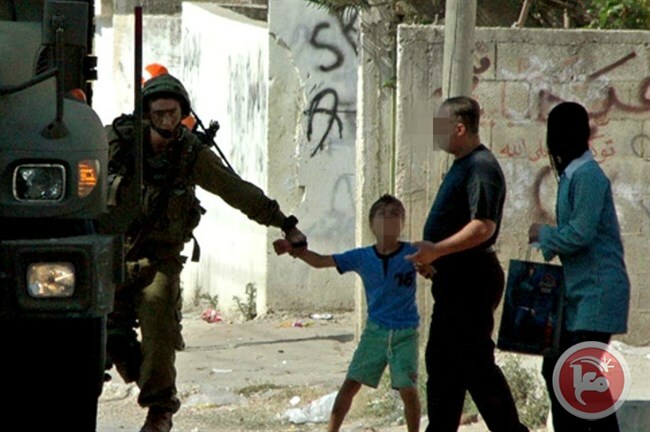 The report comes as the number of Palestinian children arrested by Israel more than doubled since October 2015. As of February, there were 406 Palestinian children being held in Israeli military prisons, 108 of them under the age of 16, according to documentation by prisoners’ rights group Addameer. Israeli forces have used unnecessary force in the arrest and detention of children, beaten them, and held them in unsafe conditions, according to video footage, lawyer reports, and interviews conducted by HRW with children who have been detained. International and domestic Israeli laws that provide special protections for detained children -- stating that the detention of children can be used only as a last resort and that the best interests of the child be prioritized -- are “routinely” ignored by Israeli forces, HRW affirmed. Israeli police and military denied the contents of documentation released by HRW in July detailing Israeli forces choking, beating, and throwing stun grenades at Palestinian children. HRW’s new report detailed three new cases of abuse against Palestinians children by Israeli forces which have occurred since a wave of violence spread across the occupied Palestinian territory in October. The children aged 14, 15, and 16 -- corroborated by witnesses to the abuse, lawyers, and security camera footage -- told HRW that Israeli police hit and kicked them while in custody, and made them spend hours outside in the cold in the early morning and at night while handcuffed to chairs. 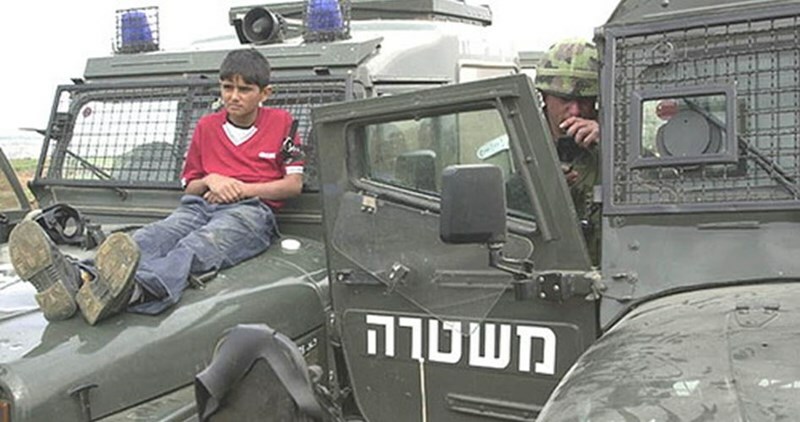 According to children’s rights group, Defense for Children International-Palestine (DCIP), three out of four Palestinian children experience physical violence during arrest, transfer, or interrogation by Israeli forces. DCIP reported in March that 41 Palestinian children have been killed in the occupied Palestinian territory since October. All were killed as a “direct result of intensified violence,” DCIP said in a statement, and all but one were killed by Israeli military forces. The number includes 31 Palestinians under the age of 18 who allegedly carried out knife or gun attacks, as well as others shot dead during clashes. Release of HRW's report comes as Israeli forces continue to be shielded by a long-standing Israeli policy of immunity for officers and soldiers accused of abuse and murder of Palestinians and Palestinian children. The Israeli army closed on Sunday an investigation into the killing of a Palestinian teenager last summer by a senior Israeli commander, in a decision Israeli rights group B’Tselem has termed “an integral part” of the Israeli army’s “whitewash mechanism” of its own crimes. Clashes broke out overnight Sunday in the Aida and Azza refugee camps in Bethlehem between Palestinian youth and Israeli forces, during widespread Israeli army raids across the occupied West Bank in which at least 18 Palestinians were detained, including a Palestinian security officer. 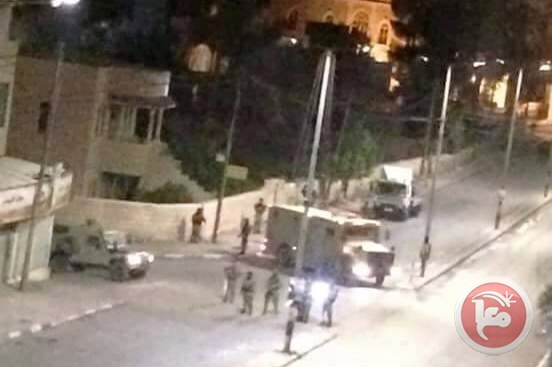 Local sources said Israeli forces stormed Aida refugee camp in the southern occupied district of Bethlehem, firing gunshots and tear gas canisters, while Palestinians shouted “Allah Akbar” (God is great) and whistled at Israeli forces. Witnesses told Ma’an masked Palestinian gunmen exchanged fire with Israeli soldiers near the Abu Bakr mosque in Aida. No casualties were reported. Israeli troops also raided the nearby Azza refugee camp firing tear gas canisters, according to eyewitnesses. An Israeli army spokesperson told Ma’an four Palestinians were detained in the district of Bethlehem. Locals added another was issued a summons. Israeli forces also detained Palestinian security officer Muhannad Farah Salih Barghouthi from the village of Beit Rima west of Ramallah in the central occupied West Bank. His brother told Ma’an that Barghouthi -- an officer in the Palestinian Authority’s national security service -- was driving his private car from Jericho back to Ramallah when Israeli soldiers stopped him and took him into custody. He added that Barghouthi was released from Israeli custody two years ago after serving an eight-year sentence. Israeli forces also detained six other Palestinians in the central West Bank district of Ramallah, two Palestinians in the northern West Bank district of Jenin, three in the northern West Bank district of Nablus, and two in the southern West Bank district of Hebron, according to the Israeli army spokesperson. According to prisoners’ rights group Addameer, 7,000 Palestinians were held in Israeli prisons as of February. The majority were detained in predawn detention raids carried out by the Israeli military, including in areas supposedly under full Palestinian jurisdiction according to the Oslo Accords. The Palestinian Prisoners’ Society (PPS) has reported that Israeli soldiers kidnapped, Monday, eight Palestinians, in different parts of the southern West Bank district of Hebron. Twenty Palestinians kidnapped overnight. The PPS said several army jeeps invaded the al-‘Arroub refugee camp, north of Hebron, searched homes and kidnapped seven Palestinians. The kidnapped residents have been identified as Ezz Bayan Khaled, 19, Wajdi Mohammad Sharif, 22, Ezzeddin Ahmad Abu Sil, 18, Emad Jamal Abu Sil, 18, and Yahya Zakariyya Abu Mheisin, 17. The soldiers also invaded the al-‘Arroub refugee camp, south of Hebron, searched homes and kidnapped one Palestinian, identified as Abed Adel al-Masri. The PPS added that the soldiers kidnapped Sami Talal Salim Halayqa, 35, from his home in Shiokh town, northeast of Hebron, and Ahmad Azmi Hanatsha, 17, from Kharsa village, south of Hebron. 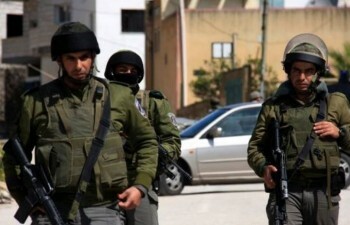 The Palestinian Prisoners’ Society (PPS) reported that Israeli soldiers invaded, on Monday at dawn and at night Sunday, several areas in the northern West Bank district of Nablus, searched many homes, and kidnapped at least six Palestinians. The Israeli Occupation Forces (IOF) detained Sunday evening dozens of Palestinians near the Ibrahimi Mosque in al-Khalil south of the West Bank. Eyewitnesses told a PIC reporter that Israeli forces detained and attacked dozens of locals for several hours under the pretext that their homes are located near Kiryat Arba illegal settlement. The sources pointed out that two Palestinian vehicles were stopped and searched while locals’ movements in the area were blocked. The Israeli Occupation Forces (IOF) detained Monday morning the family of the prisoner Ahmed Nazal at Jalama crossing in Jenin while on their way to Megiddo prison. Local sources told a PIC reporter that Israeli forces detained and investigated Nazal’s wife and his 4-year-old son at the crossing for several hours before forcing them to return to Jenin city. The wife and her child were on their way to visit the prisoner Ahmed Nazal in Megiddo prison. More than one-third of the prisoners’ families are deprived of visiting their relatives held in Megiddo prison under security pretexts. Several Palestinians were kidnapped and others were injured in a mass-abduction sweep launched by the Israeli occupation forces (IOF) across the West Bank at dawn Monday. Reporting from Nablus, a PIC news correspondent said the IOF rolled into the city and kidnapped 23-year-old university student Malek Bilal Eshtiyeh from his own family home in Tel town, to the west. The Israeli occupation troops attacked the Palestinian protesters with heavy spates of tear gas canisters during the clashes that flared up following the assault. Another student was kidnapped from Beit Iba town, in western Nablus. The occupation troops reportedly wreaked havoc on civilian homes across the town. The IOF further stormed the Aida refugee camp, in northern Bethlehem city, at the crack of dawn, sparking clashes with anti-occupation youths. The IOF attacked the Palestinians with live rounds and teargas canisters, resulting in several suffocation cases. Red Cross crews said the occupation troops denied them access into the camp to assist a Palestinian civilian who sustained live bullet wounds in the attack. A similar Israeli campaign rocked the Arroub refugee camp for Palestinian refugees, in northern al-Khalil. The IOF also rummaged into civilian homes before they kidnapped two Palestinian youngsters and dragged them to an unidentified destination. 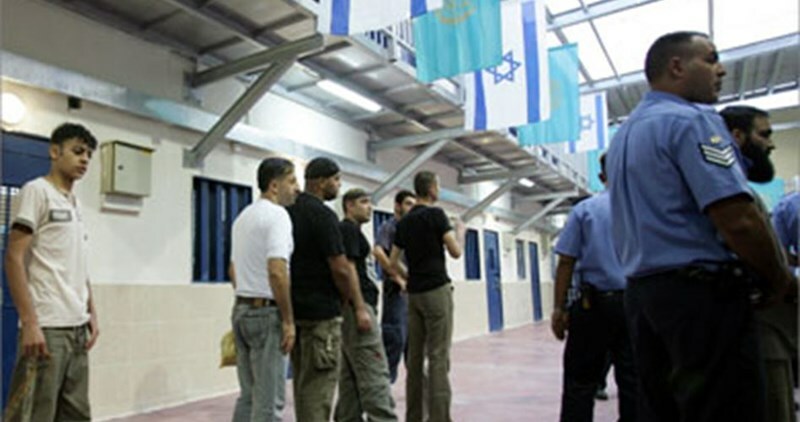 Three youngsters were summoned for questioning in the Etzion detention center. The IOF also raided Dura town and ravaged a charity association for Palestinian orphans before they confiscated equipment and a set of documents. Several Palestinians were summoned for interrogation in al-Khalil’s southern neighborhoods. 15 Palestinian prisoners affiliated with Hamas Movement and held in Ofer prison declared on Monday morning an open hunger strike in solidarity with the isolated prisoner Shukri Khawaja. Reliable sources told the PIC that the prisoners’ hunger strike came after the Israeli Prison Service (IPS) refused to meet Khawaja’s demands. 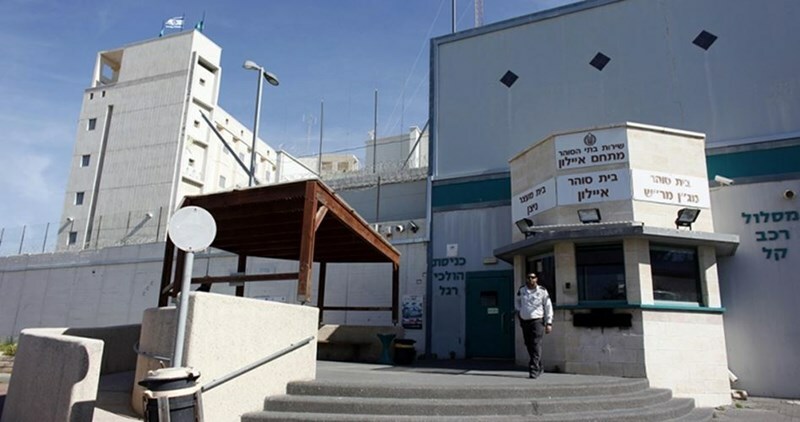 The Ofer prison administration threatened to transfer the hunger striker prisoners to solitary confinement, the sources said. The isolated prisoner Shukri Khawaja spent more than 16 years behind Israeli bars in separate arrests, the last of which was in February 2014. He was first held in administrative detention for four years before being sentenced to 15 years under the pretext of affiliation with Hamas Movement. Israeli prison service (IPS) Sunday morning transferred the Palestinian sick captive Bassam al-Sayeh who suffers from cancer in addition to other diseases from Megiddo to Eshel jail to meet his detained brother Amjad. Former Minister of Prisoners and leader in Hamas Movement Wasfi Qabaha said that the IPS transferred Sayeh after long procrastination and stalling as well as pressures practiced by Hamas prisoners in escalated steps last month. The wife of detainee Sayeh told the PIC reporter that her husband Bassam is suffering from a serious health condition and he is in need to undergo a surgery to plant a pacemaker. The IPS has been procrastinating for the pretext of waiting for a medical report confirming his need to the operation. The patient captive Bassam al-Sayeh, who has been arrested since October 08, 2015, suffers from leukemia and bones cancer in addition to severe pneumonia as well as weakness in the heart muscle. The Israeli occupation police on Sunday issued decisions banning the entry of six Palestinian women to the Aqsa Mosque and another one to the Old City of Jerusalem for several months. 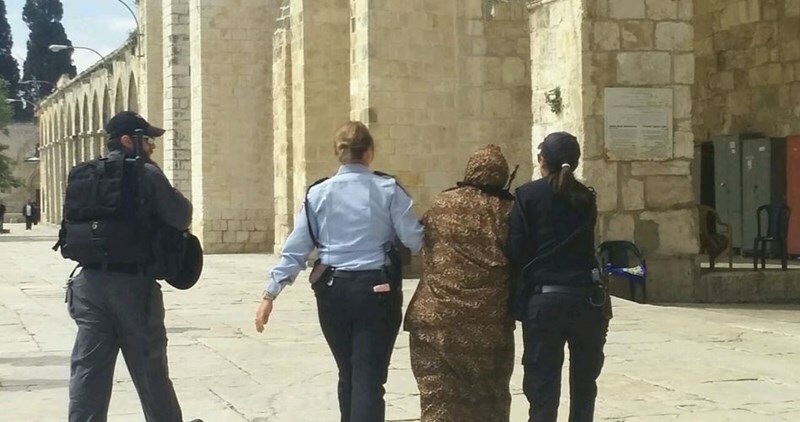 Umm Ihab al-Jallad, one of many women already banned from entering the Aqsa Mosque, said that the Israeli police summoned six women to its center in Qishleh area in the Old City and handed them orders banning their entry to the Mosque for different periods. Jallad added that she refused to sign or receive a written verdict ordering her to stay away from the Old City for six months. One of the six women, Samiha Shahin, also refused to take an order preventing her from entering the Aqsa Mosque for six months. The Israeli police started to impose a ban on the entry of Palestinian women to the Aqsa Mosque in Ramadan 2014, especially during the morning hours when Jewish settlers carry out mass break-ins at the Islamic holy shrine under security protection. The Israeli occupation authority uses such measure to prepare the ground for the Jews to desecrate the Aqsa Mosque at any time and provide them with an opportunity to perform their rituals without any angry reactions from Muslims. The Israeli prison service (IPS) on Sunday transferred the Palestinian journalist Muhammad al-Qeiq from the Ramla prison clinic to the Israeli Nafha desert lock-up. Speaking in an exclusive statement to the PIC, al-Qeiq’s wife, Fayhaa Shalash, said her husband was transferred in the morning to the Nafha jail pending his release next month as stipulated by a deal struck between his lawyers and the Israeli prosecution. 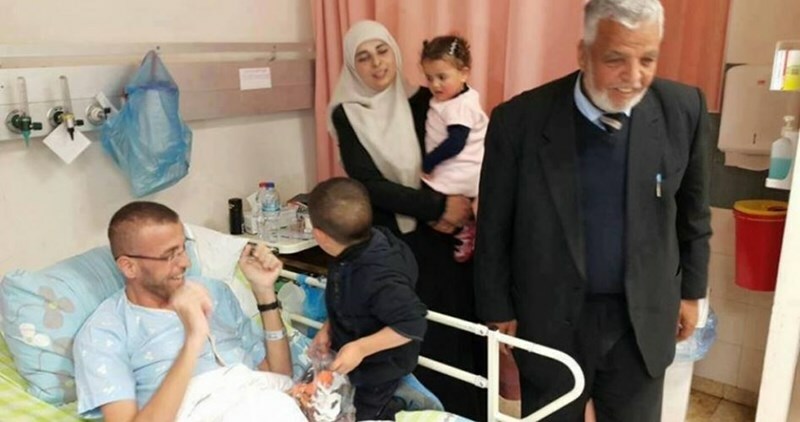 The wife added that al-Qeiq ended two phases of medical therapy following a 95-day hunger strike that was on the verge of taking away his life in Israeli jail. Al-Qeiq is in need of more medical checks and treatment, his wife added. Prisoner al-Qeiq was arrested on November 21, 2015 from his own family home in the central occupied West Bank city of Ramallah and had been subjected to harsh torture in the Jalama investigation center before he was sentenced to six months in administrative detention, without charge or trial. He ended his hunger strike on February 26 after the Israeli prison authorities promised to release him in May. 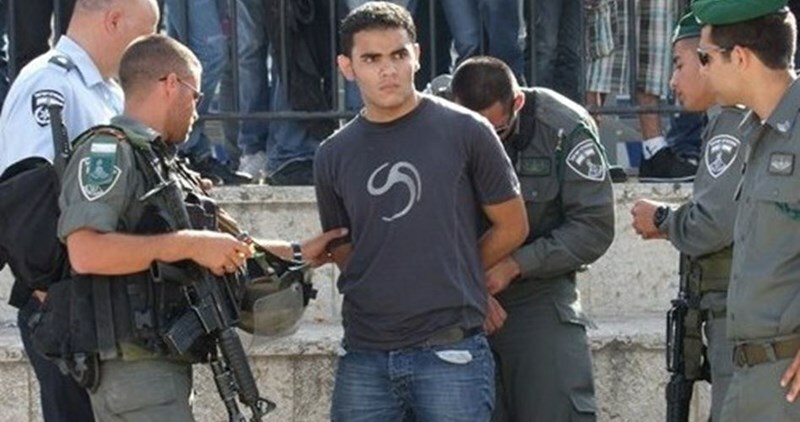 Four Palestinian teenagers turned themselves in to Israeli authorities on Sunday after spending time under house arrest. Muhammad Tayih, 17, Yazan Ayub, 16, Murad Aalqam, 15, and Zayid Tawil, 17, turned themselves in to the al-Ramla Prison in order to serve their sentences, ranging from one to three years in prison. The four are among 10 youth from the neighborhood of Beit Hanina north of occupied East Jerusalem, who were first detained at the end of June last year. They were released on bail two weeks after their initial detention and put under house arrest. However, a recent court ruling sentenced them to actual prison sentences. 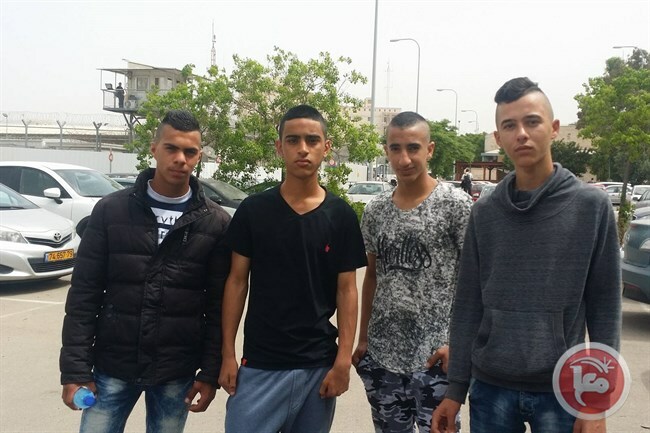 The remaining six Beit Hanina teenagers are expected to turn themselves in in the coming days. Aalqam was sentenced to 36 months in prison, al-Tawil and Tayih were sentenced to 28 months, and Ayub received a 14-month prison sentence. The teenagers expressed worry at what would await them in prison, but said actual imprisonment would be easier that living under house arrest. They added that the time they spent under house arrest had not been counted as serving part of their sentences. The head of the Jerusalem Detainees and Prisoners' Families organization, Amjad Abu Asab, told Ma'an that some 129 Palestinians held in Israeli prisons are minors from East Jerusalem. He said this number included five young girls and six under the age of 14 held in juvenile detention centers. According to prisoners’ rights group Addameer, 7,000 Palestinians were detained by Israel as of February, including 406 minors and 550 Palestinians from East Jerusalem. The Israeli Occupation Forces (IOF) arrested Sunday afternoon a 26-year-old Palestinian young man at the Israeli-controlled Karama crossing that links between Jordan and occupied West Bank. Family sources affirmed that Orwa Dawabsheh, from Duma town south of Nablus, was arrested while on his way back from Jordan where he worked for three years. Dawabsheh suffered a workplace accident before he decided to definitely return home. Palestinian prisoner Shukri al-Khawaja has started an open-ended hunger strike in protest at his ongoing detention in an isolation cell for 16 months, according to the Palestinian Prisoner Center for Studies. 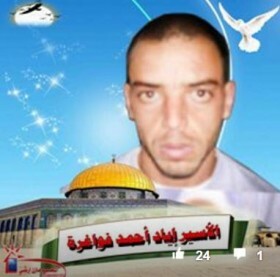 Director of the center Osama Shahin stated on Sunday that the military court of Eshel jail in Beersheba city last Thursday extended the isolation of prisoner Khawaja, who is in solitary confinement in Ramon jail, for another three months, which prompted him to go on hunger strike. Shahin explained that Khawaja suffers from several health problems, including high blood cholesterol, chronic stomachache, and pains in his back and legs as a result of his exposure to severe torture at the hands of Israeli interrogators when he was in Ofer jail. The prisoner has been in solitary confinement under orders from the Shin Bet since December 17, 2014, and he has seen his family only once since then. A ferocious sandstorm overnight Saturday hit Israel's Negev desert prison, blasting the tent-compounds for Palestinian prisoners with raging winds and debris, Palestinian sources reported Sunday. The Sawt al-Asra quoted Palestinian detainees in the Negev jail as stating that several tents were uprooted and prisoners’ properties ravaged as a result of the sandstorm. The radio denounced the negligence maintained by the Israeli prison service as regards Palestinian tent-compounds, leaving several detainees directly exposed to the hurricane of wild winds rocking the jail. The prisoners appealed to the international human rights institutions to urgently step in and force the Israeli occupation to fix the ruined tent-compounds. Several national and international human rights groups have called for closing the Negev prison due to the dire detention circumstances Palestinian detainees have been made to endure. Meanwhile, the Palestinian Meteorological Department Sunday warned against a sudden weather change, with a remarkable drop in expected temperatures. According to the broadcast, dusty and partially cloudy weather is expected to prevail. Rain is also expected to fall throughout. 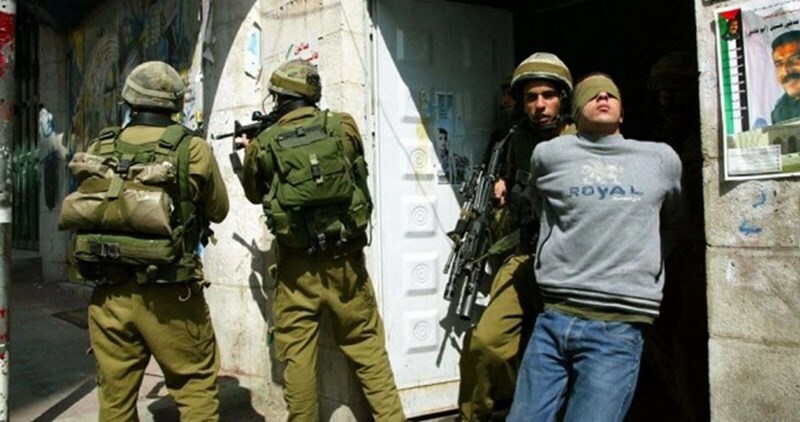 Israeli soldiers kidnapped, late at night and on Sunday at dawn, at least eleven Palestinians, including children and a journalist, in different parts of the occupied West Bank, and summoned many for interrogation in a number of military centers. The soldiers also invaded and bulldozed farmlands, in Gaza. Several military vehicles invaded Silwad town, east of the central West bank city of Ramallah, searched many homes and kidnapped three Palestinians, identified as Saif Khalil Hammad, 19, Bilal Sobhi Hamed, 17, and Mo’men Bassem Hamed, 17. The soldiers also invaded the home of Taleb Hamed, looking for his son, Tareq, 19, but he was not at home; he is a student of Birzeit University. A university student, identified as Bahaeddin Sheja’eyya, 19, was kidnapped after the soldiers invaded his home in Deir Jarir town, east of Ramallah. The soldiers also invaded Zawiya town, in the central West Bank district of Salfit, and kidnapped one Palestinian, identified as Monir Shaqqoura. In the southern West Bank district of Hebron, the soldiers kidnapped Tamer Waleed Ghazi, 17, from the al-‘Arroub refugee camp, Monir Nasser Shadeed, 20, from Doura town, and Husam al-Misk, a student of the Al-Quds – Abu Dis University. The soldiers also summoned for interrogation the head of Palestine Detainees’ Center Osama Shahin, and Jaber Rajoub, from Doura, in addition to a former political prisoner, identified as Zeid Abu Fannar, in Yatta town. In occupied Jerusalem, the soldiers kidnapped a child, identified as Mohammad Ishaq Taha, 15, from his home in Qotna town. Another Palestinian, who remained unidentified until the time of this report, was kidnapped from his home in Rafat town, north of Jerusalem. The soldiers also kidnapped Palestinian journalist, identified as Samah Dweik, 25, after invading her home in Ras al-‘Amoud neighborhood in Silwan town, in Jerusalem, and confiscated her computer and other equipment. It is worth mentioning that Samah, a reporter with Quds News Network, is “blacklisted” by Israel, and has been denied access to the Al-Aqsa Mosque, in Jerusalem, for the past several homes. In addition, several Israeli military vehicles and bulldozers invaded Palestinian agricultural lands, close to the border fence near the Sheja’eyya neighborhood, east of Gaza city, before uprooting them. The soldiers also fired a number of rounds of live ammunition. The Israeli vehicles also invaded lands in the Nahda neighborhood, in Rafah, in the southern part of the Gaza Strip; the invasion in the fifth in the last five days. The Israeli occupation forces (IOF) on Sunday morning kidnapped the Palestinian female journalist Samah Dweik from her own family home in Ras al-Amoud, in Occupied Jerusalem. 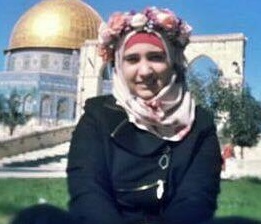 A PIC journalist said Samah was kidnapped on account of her anti-occupation activism. 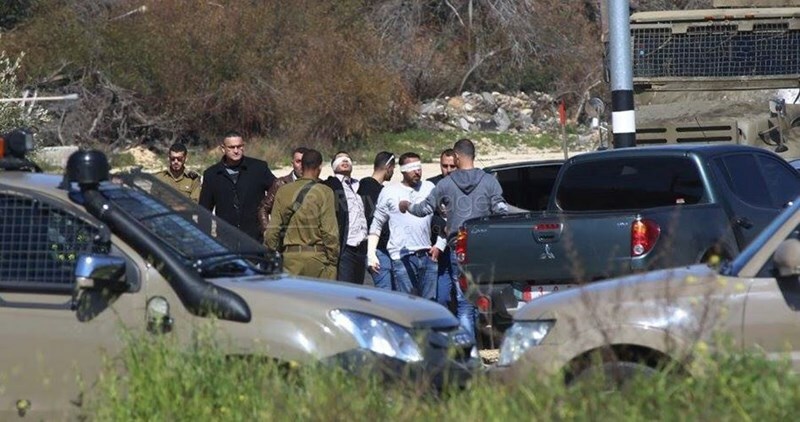 Meanwhile, four Palestinian farmers, from eastern Nablus province, have been detained by the IOF while they were heading to their lands located near the illegal Israeli settlement of Elan Moreh. Speaking by phone with a PIC journalist, a farmer said Israeli army patrols prevented Palestinian families from reaching their lands in the area to cultivate crops of their own. The soldiers reportedly detained four farmers and forced the others to leave the area. Two days earlier, the IOF also prevented Palestinian farmers from cultivating their lands in the area after they declared it a closed military zone. Preacher of Muslims’ the holy al-Aqsa Mosque, Sheikh Muhammad Salim, spoke out against his detention by the Israeli occupation forces (IOF), saying it is rather a sign of provocation to the Muslim worshipers. Talking to a PIC journalist, Sheikh Salim said the IOF detained him for hours on allegations of incitement. “It is the right of al-Aqsa preacher to raise people’s awareness and try to alleviate their pains,” said the preacher. As he offered a copy of the sermon he delivered at al-Aqsa, Salim denied Israeli accusations that he incited to violence, saying: “Islam is the religion of peace, security, and stability. Islam illegitimates oppression, whatever its form and means.” The Supreme Islamic Committee and Jerusalem’s Endowment Council also slammed, in a joint statement, Salim’s detention, saying the latter was rather targeted for his anti-occupation speeches. The groups dubbed the move “a dangerous and unprecedented attempt to suppress the freedom of speech and meddle in Muslims’ religious freedom.” “Religious speeches at al-Aqsa have their own sanctity. Persecution of Muslim worshipers will never discourage them from performing their prayers at al-Aqsa for it is part and parcel of who they are,” the statement added. 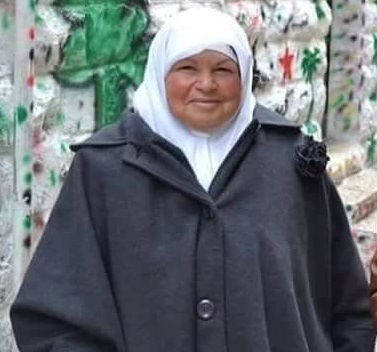 The Israeli occupation police in Occupied Jerusalem on Saturday evening referred the file of 63-year-old Zinat Owaida to the Shin Bet and cancelled the court hearing, which was supposed to be held for her on the same day. According to Quds Press, the police informed Owaida, a pro-Aqsa activist, that her court hearing was canceled and ordered her to go on Sunday morning to their center in al-Qishleh area in the Old City of Jerusalem for further interrogation by the Shin Bet. The police have accused the elderly woman of being a member of a banned group. 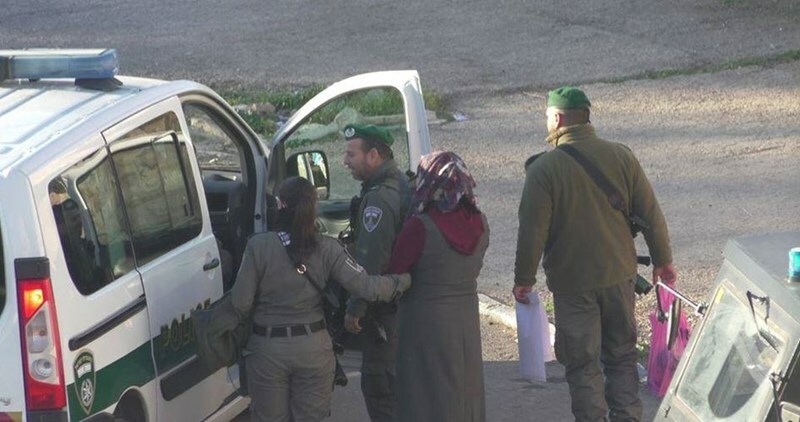 Police forces kidnapped Owaida at dawn Saturday from her home in al-Issawiya district east of Jerusalem and took her to an interrogation center in the city before releasing her on condition that she would have to stand trial at the magistrate court in the evening. Several pro-Aqsa activists will face trial on Sunday after being detained and released last week, while others are still in detention. 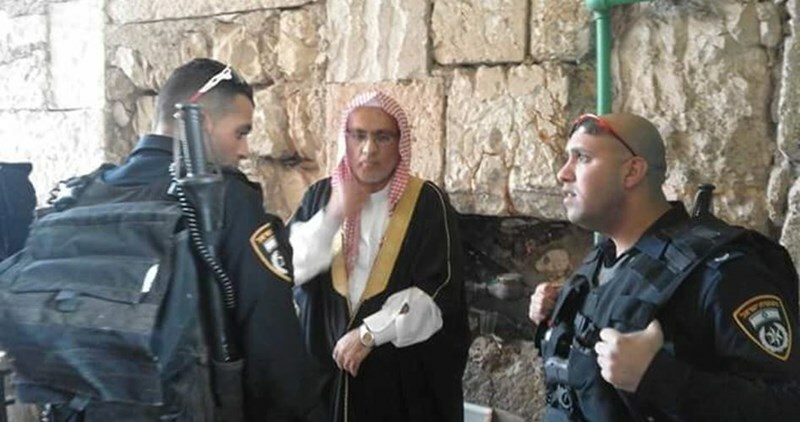 In an earlier incident, the Israeli police arrested preacher of the Aqsa Mosque Sheikh Mohamed Salim after he left the Mosque on Friday afternoon at the pretext that his khutba (sermon) incited to violence. 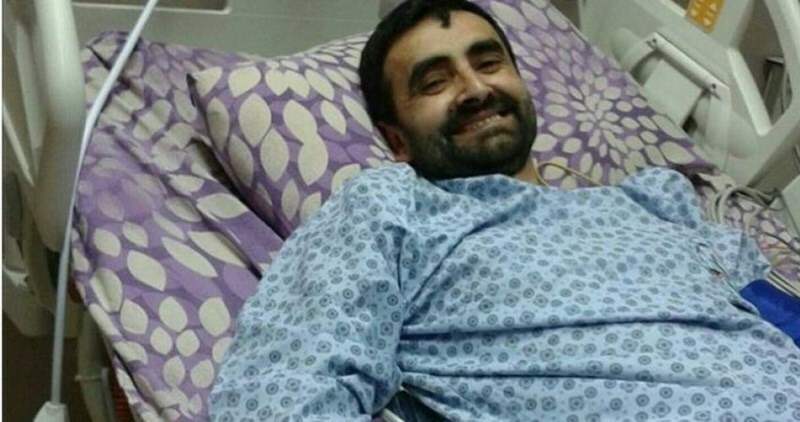 Palestinian Committee of Detainees and Ex-detainees revealed that a serious deterioration has emerged on the health condition of the detained Palestinian cancer patient Bassam al-Sayeh, 44, from Nablus. Bassam al-Sayeh has been suffering from many diseases since he was arrested on October 08, 2015, the committee pointed out. The committee added that the sick detainee Sayeh is suffering from bones cancer as well as leukemia in addition to an 85% shortage of heart muscle, chronic infection in the lungs and high blood pressure. He has almost become disabled as he cannot serve himself without the help of other detainees. Prisoner Sayeh is held in Israeli Megiddo jail where he receives large doses of chemical treatment. His health condition has reached a quite critical and serious status to the extent that returning back to normal has become so difficult. The committee called for the intervention of all competent authorities and international human rights organizations to pressure Israeli authorities to immediately release detainee Sayeh, who might die at any movement.